Welcome to Miami University Dining! 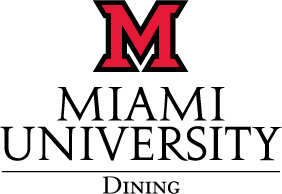 Miami University’s Dining Services is dedicated to providing food of the highest quality in a variety of service styles to meet the needs of today’s students. We take tremendous pride in the service we provide and want to keep you updated with the latest updates with our services. Be sure to follow this blog and follow us on Twitter, Facebook and Instagram so you don't miss the next special dinner, limited time offer or dining update! You Cannot Say No to Chili!